Build a career in science based reputation management, in an advisory that is a leading the way. 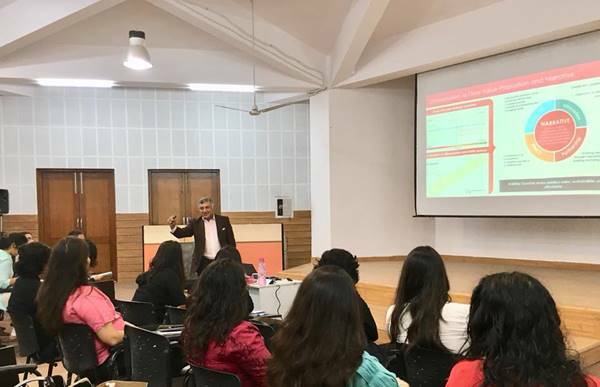 Vedica Scholars Programme for Women is a unique alternative to the traditional MBA programme, which will create a cadre of successful women professionals for the 21st century. Vedica’s mission is to prepare women with potential to achieve fulfilling careers. Vedica is an 18-month full-time, residential, professional certificate in management practice and leadership with a re-imagined pluridisciplinary curriculum that has been carefully crafted to the expectations of employers today. The programme is a combination of classroom learning, hands-on work experience, and mentoring and coaching by some of the most inspiring academics and professionals of our times. It weaves together the objectivity of management principles with complementary perspectives from the liberal arts, an emphasis on personal growth through leadership training, and the impact of thinking and communicating effectively. This innovative and pioneering approach to management education promises to launch every Vedica Scholar into a career of distinction.